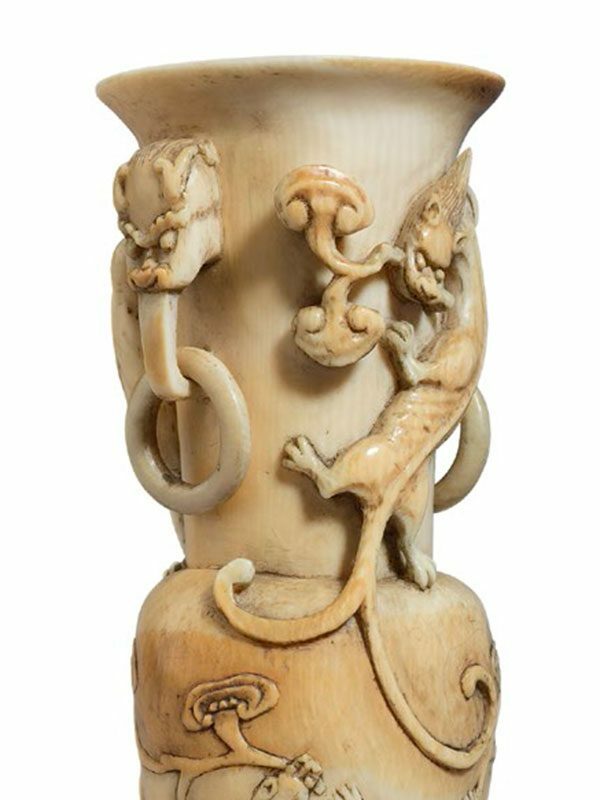 An ivory vase of baluster form, supported on a slightly recessed base and with a flared neck. Two loop handles in the form of a dragon-head from which two rings are suspended protrude from the neck. 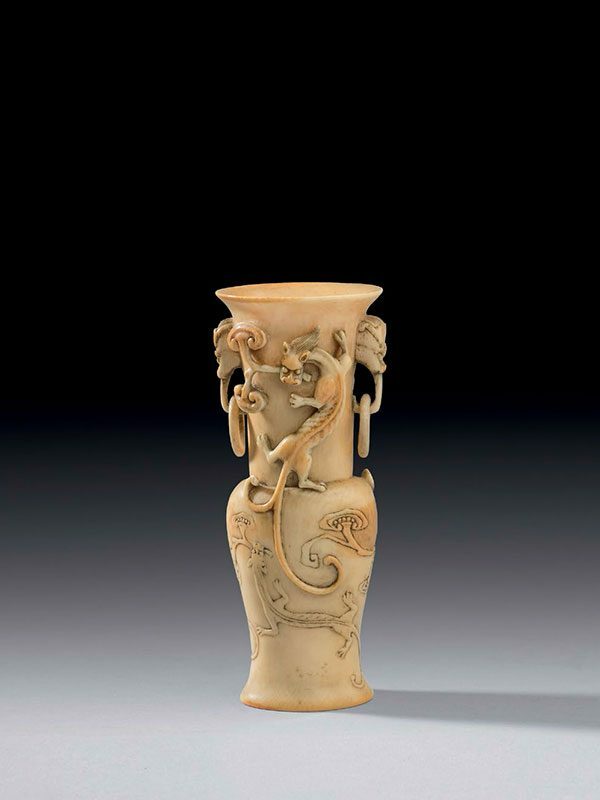 The upper section of the vase is carved in high relief with a crawling chi dragon with a long bifurcated tail, holding a branch of lingzhi fungus in its mouth. Another chi dragon holding a lingzhi fungus is carved in low relief on the lower section of the vase. The ivory has acquired a mellow patina with age. Provenance: The collection of J. Habbema (1885 – 1937), Dutch Governor in Bojonegoro, East Java, Indonesia, acquired prior to 1936.